Martin A. Burton is an Independent Management Consultant. Dr. Martin Burton is a specialist in water resources and irrigation management and institutional development with over 35 years experience in some 28 countries. He has an international reputation in the fields of water management, performance assessment and benchmarking, asset management and institutional development. Currently Dr Burton works as an independent consultant and has carried out assignments over the past four years for the World Bank, mainly on project preparation and review missions in Azerbaijan, Croatia, Georgia, Kazakhstan, Kyrgyzstan, Turkey and most recently, India. For the last two years he has also been involved with the Hampshire Water Partnership, initially as the Chair, and then as the executive Director for an interim period. Prior to working as an independent consultant Dr Burton worked for 6 years as an owner Director of ITAD~Water Ltd. Before this he worked for 14 years at the Institute of Irrigation and Development Studies, University of Southampton, the last two years as Director. Before that he worked for 9 years with consulting engineers Sir M. MacDonald and Partners (now Mott MacDonald), mostly overseas in Indonesia, Kenya, Nepal and Somalia. Dr Burton has written over 30 papers and is the co-author of a book on performance assessment and two publications for the World Bank on benchmarking and monitoring and evaluation. 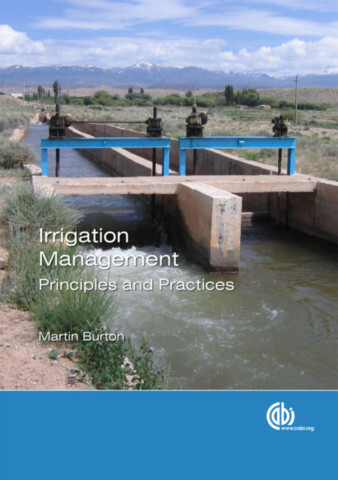 Dr Burton is on the Editorial Board of Irrigation and Drainage Systems.